The future is here… or is it? I’ll summarize the article. Experts have discovered that artificial intelligence is increasingly discriminating against women and non-white people. For instance, systems designed to pre-select candidates for University places or estimate eligibility for loans tend to give preference to white males. The post reminded me of an essay3 on automation in media industries. We’re talking about different types of “selection” here, but the principle is similar. Demand prediction and content creation by algorithms in media industries are also data-driven.4 These tools play a big role in media production. Does this mean that algorithm-based tools in media production will also become increasingly racist and sexist? I don’t know. But I imagine that certain “things” or topics could be excluded increasingly by these tools. More discriminative productions might thus be made and re-feed the algorithms, resulting in a progressively discriminatory effect. Of course, I don’t know much about algorithms. And they might get better. However, I think a serious difficulty of algorithms is that they are based on data of the past. They can be fuelled by things we want to let go of. I’m glad that media industries still use humans, who can think differently and take creative steps towards change. Bodkin, Henry. 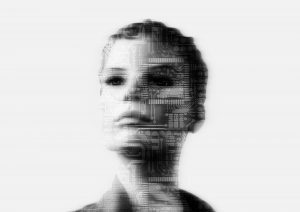 “’We have a problem’: Racist and sexist robots”, National Post, 25 August 2017, http://nationalpost.com/news/world/we-have-a-problem-racist-and-sexist-robots (accessed 13 September 2017). Napoli, Philip M. “On automation in media industries: Integrating algorithmic media production into media industries scholarship.” Media Industries Journal 1.1 (2014). https://drive.google.com/open?id=0B28EIPTuGoQWenNZYW5BZ2dQYXM (accessed 13 September 2017). Who’s afraid of algorithmic recruitment?